Emmanuel Amuneke has guided Tanzania to the Africa Cup of Nations for the first time since 1980 after a 3-0 win over Uganda. The east African nation stunned Group L leaders to record an historic victory in front of home fans at the National Stadium on Sunday. Goals from Simon Msuwa, Erasto Nyoni and Aggrey Morris booked the Taifa Stars’ place in Egypt as they displaced Lesotho to finish second in the group log with eight points from six games. The triumph comes as a great achievement for the ex-Nigeria youth coach who was appointed Tanzania head coach last August. 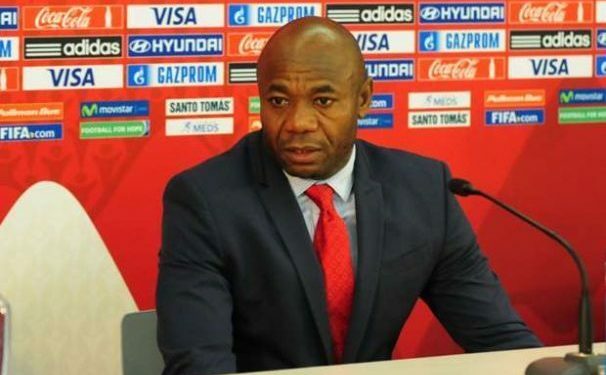 The feat also makes Amuneke the second Nigerian coach, after late Stephen Keshi [with Togo and Nigeria], to guide a country to the biennial continental showpiece.